The U.S. Army Corps of Engineers (Corps), Charleston District (SAC) is preparing an Environmental Impact Statement (EIS) to assess the potential social, economic, and environmental effects associated with the construction and operation of the proposed Jasper Ocean Terminal (JOT) in Jasper County, South Carolina. 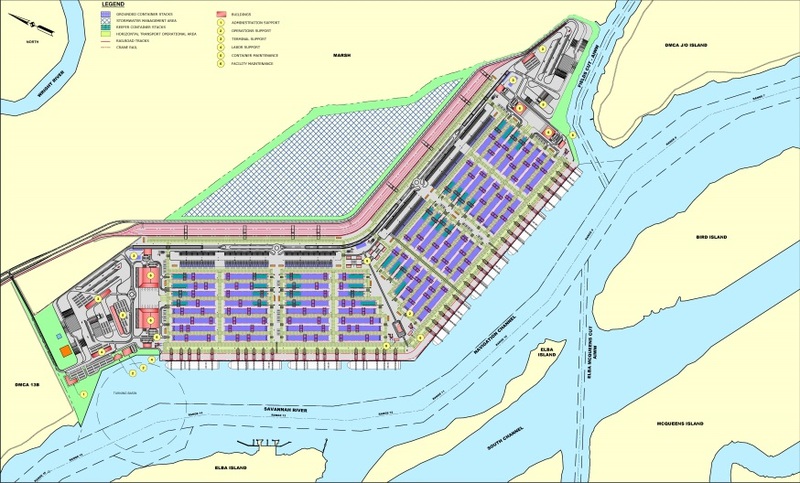 The JOT Joint Venture, a partnership between the Georgia Ports Authority (GPA) and the South Carolina Ports Authority (SCPA), has proposed to develop a state-of-the-art marine container terminal on the northern bank of the Savannah River. According to the JOT Joint Venture, the Ports of Charleston and Savannah are expected to experience limitations and inefficiencies in the future as a result of forecasted growth in the demand for containerized cargo within the region. The proposed JOT is being designed to accommodate 7 million Twenty-Foot Equivalent Units (TEUs) per year, which is equivalent to approximately 35-years of the forecasted growth in containerized cargo. In accordance with the National Environmental Policy Act (NEPA), the Corps is the lead Federal agency for the preparation of the EIS. The EIS will assess the potential effects of the proposed JOT and a range of reasonable project alternatives on waters of the United States pursuant to Section 10 of the Rivers and Harbors Act (RHA) and Section 404 of the Clean Water Act (CWA). Information included in the EIS will serve as the basis for the Corps’ evaluation of the proposed marine container terminal and the associated road, rail, and navigation improvements. In addition, this information will be made available to adjacent property owners, interested parties, public officials, and other Federal, State, and local agencies with jurisdiction over other aspects of the proposed JOT before decisions are made and before actions are taken by the Corps regarding the proposed JOT. The purpose of this website is to inform members of the public and other interested parties about the EIS for the proposed JOT and to provide them with additional information about the NEPA process and opportunities for public participation. Using the tabs located to the left of this webpage, you can access additional information, view project documents, submit written comments, and/or sign up for the project mailing list to receive updates about the proposed JOT.